I watched “Good Will Hunting” last night. I hadn’t seen it since it first came out in 1997. To think that the very young Matt Damon and Ben Affleck wrote this as their first movie is amazing. I realize I still can’t believe Robin Williams isn’t with us anymore. I’m finding it very hard to accept. We’ve lost so many actors that I’ve had the pleasure to have known and worked with through the years and they bring back so many wonderful memories. Robin Williams was one of the first actors to take the leap of faith on a little animated movie I cast, “Ferngully-The Last Rainforest,” long before celebrity voice-overs were popular. When I cast him in the film “Insomnia” I had to convince the powers that be that he could play against type as a serial killer. When I worked on “Poltergeist,” young Heather O’Rourke immediately stood out with her sweetness and curiosity about the world around her. I had been bringing in the talented Dominique Dunne for several years and finally found the perfect role for her. Both are gone too soon. We lucked out when we found Zelda Rubenstein to play the eccentric psychic Tangina. I became friendly with Dudley Moore after casting him in “Six Weeks.” He drove me home once when my car got locked in a parking lot where we were out to dinner—and even picked me up the next day to go and get it! It’s hard to imagine that director Bob Clark made the raunchy “Porky’s” and the hilarious classic “A Christmas Story.” A drunk driver on PCH killed him and his son. Working with him on these movies was one of the highlights of my career. You’ve never met a sweeter man. I had the pleasure of casting Chris Penn in two movies: “All the Right Moves” and the original “Footloose.” The producers fell in love with him on “Footloose” and re-wrote the role to suit him. Brittany Murphy was so great in “Summer Catch,” but another audition sticks in my mind. In the middle of her audition for “Ghosts of Girlfriends Past” she went into the corner of the room and took out her contacts and dropped them on the carpet, saying they were driving her crazy. The director had to take her in hand and walk her off the lot and back to her driver because she couldn’t see! When we cast Gregory Hines for the cult classic “Eve of Destruction,” he was so into it he came to the auditions and read opposite the actors. In 1982, Vic Morrow was hoping to make a comeback with “Twilight Zone: The Movie.” The children production found to be in the scene (I had refused to get involved in casting them because I felt the scene, as described by director John Landis, was too dangerous), Renee Shinn Chen and Myca Dinh Le, were so excited to be in a movie. A dangerous and ill-conceived stunt went awry and the helicopter crashed down upon them and Morrow, killing them all. I testified in court against the defendants. A very sad day in Hollywood history. Although I miss them, I’m grateful these films have immortalized them and, at times, it still feels like they’re with us. Like this advice? Check out more of Marci Liroff's articles! Known for her work in film and television, producer and casting director Marci Liroff has worked with some of the most successful directors in the world such as Steven Spielberg, Ridley Scott, Mark Waters, Christopher Nolan, Brad Bird, and Herbert Ross. While working at Fenton-Feinberg Casting, she, along with Mike Fenton, cast such films as “A Christmas Story," “Poltergeist," “E.T. – The Extra Terrestrial," “Indiana Jones and the Temple of Doom," and “Blade Runner." After establishing her own casting company in 1983, Liroff cast “Footloose," “St. Elmo's Fire," “Pretty in Pink," “The Iron Giant," “The Spitfire Grill," “Untamed Heart," “Freaky Friday," “Mean Girls," “Ghosts of Girlfriends Past," “Mr. Popper’s Penguins,” “Vampire Academy,” and the upcoming “The Sublime and Beautiful,” which she produced as well. Liroff is also an acting coach, and her three-night Audition Bootcamp has empowered actors to view the audition process in a new light. The class spawned an online course available at Udemy entitled "How To Audition For Film and Television: Audition Bootcamp". Visit Liroff online at marciliroff.com, follow her on Twitter @marciliroff and Facebook, and watch her advice videos on YouTube. You can also read her blog. 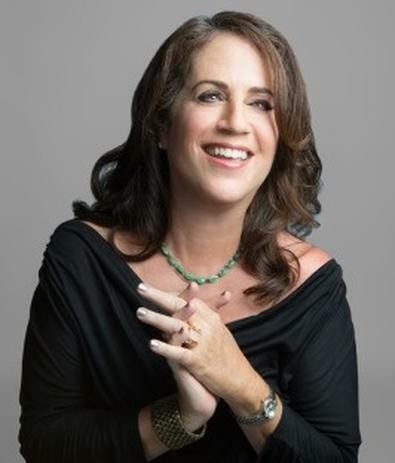 Known for her work in film and television, producer and casting director Marci Liroff has worked with some of the most successful directors in the world. Liroff is also an acting coach, and her three-night Audition Bootcamp has empowered actors to view the audition process in a new light.